A.J. 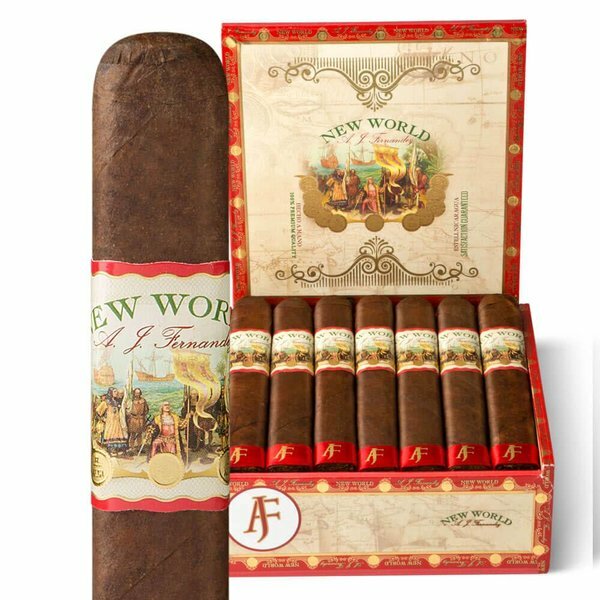 Fernandez’s New World brand is named in honor of the discovery of tobacco by Christopher Columbus and his expedition in 1492. This more recent line of cigars is a collaboration with his father, Ismael, and debuted in 2014. They are comprised of a dark and oily wrapper from Nicaragua which covers a binder from the Jalapa Valley and fillers from the Ometepe, Condega and Estelí regions. The New World Gobernador is a medium to full-bodied box pressed toro sized cigar. Notes of coffee, pepper, wood, and chocolate excite the palate. Embark on the Journey to the New World!